GABBA: It was a somewhat incongruous sight on day one in Brisbane: a West Indies legend attending a Test between Australia and Pakistan. Had Sir Garry Sobers, currently on a speaking tour in Australia, stayed at the Gabba a few days more, he would have witnessed Asad Shafiq break a 43-year-old record set by Sobers himself. As Asad steered the tail and led Pakistan’s fightback in a marathon final session on day four, he also passed Sobers’ tally of eight centuries from No. 6. The technically proficient Shafiq, who had never batted at six before making his Test debut, has made the most of his position down the order, becoming something of a specialist at guiding the bowlers through difficult periods at the crease. 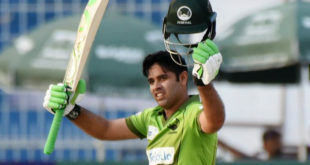 “He always batted brilliantly with the tail,” his team-mate Azhar Ali said after play. “He always loved to bat up the order, but he performed for us at number six. Especially scoring [nine] centuries at number six is not easy. “Our lower order didn’t really have very good averages, but he bats with them very well and he scored [nine] hundreds, it’s a very special achievement. 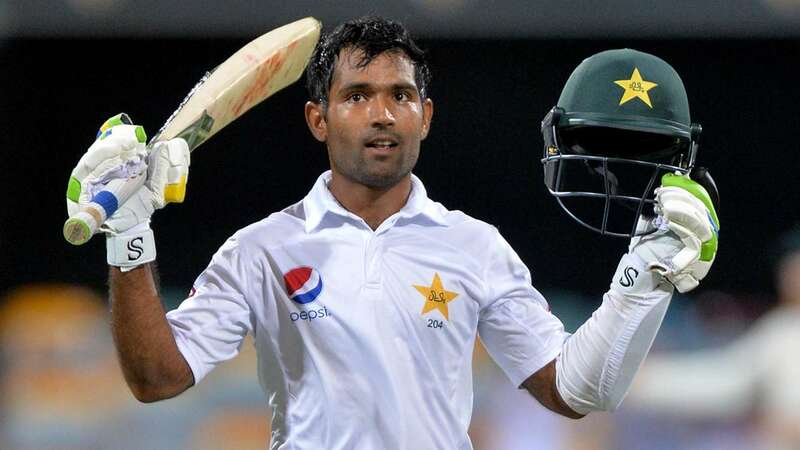 He has scored a lot of runs also, he’s averaging 40-plus, which is a very good achievement.” It seemed as though the chance to break Sobers’ record had passed Shafiq by when he was promoted up the order for Pakistan’s fourth Test against England in August and scored a century from No. 4. But the emergence of Babar Azam, combined with his own form tapering off, meant Shafiq moved back to his original Test batting position. “He’s a special player. I’ve always rated him as a very fine player, because batting at No. 6 is never easy,” Azhar said. “But as a team plan, he started batting [up the order], but again the team manager thinks that this is our best combination. As team players we always are willing to play wherever our team needs. He’s a brilliant player who can bat at any number. Hopefully he gets his number soon. “He bats at number six really well. He could be probably better than any of us [there]. That’s probably the reason he got back at number six. Sometimes you have to make decisions according to the situation, according to the team plan. That’s why I went to open the batting, because of the requirement of the team. It’s a team game, so we’re all happy with what the team demands of us.” Pakistan’s chase so far – described by the Australia bowling coach, David Saker, as “heroic” – could hardly have been foreseen by the most optimistic of their supporters, given how fragile they appeared in the first innings. Azhar said Mickey Arthur and Misbah-ul-Haq had instilled confidence in their players, telling them to take the fight to the Australians. “Before we started today, the discussion was to back ourselves, and back our ability to score runs in these conditions,” Azhar said. “First innings, it didn’t go to plan and you can easily doubt your techniques and ability to score runs in these conditions.